As of 2013[update], Ennio Morricone has sold over 70 million records worldwide. In 1971, he received a "Targa d'Oro" for the worldwide sales of 22 million. Another particular success was his composition, "Se telefonando." Performed by Mina, it was a standout track of Studio Uno 66, the fifth-biggest-selling album of the year 1966 in Italy. Morricone's sophisticated arrangement of "Se telefonando" was a combination of melodic trumpet lines, Hal Blaine–style drumming, a string set, a '60s Europop female choir, and intensive subsonic-sounding trombones. The Italian Hitparade No. 7 song had eight transitions of tonality building tension throughout the chorus. During the following decades, the song was covered by several performers in Italy and abroad most notably by Françoise Hardy and Iva Zanicchi (1966), Delta V (2005), Vanessa and the O's (2007), and Neil Hannon (2008). Françoise Hardy – Mon amie la rose site in the reader's poll conducted by the la Repubblica newspaper to celebrate Mina's 70th anniversary in 2010, 30,000 voters picked the track as the best song ever recorded by Mina. As memorable as Leone's close-ups, harsh violence, and black comedy, Morricone's work helped to expand the musical possibilities of film scoring. Morricone was initially billed on the film as Dan Savio. A Fistful of Dollars came out in Italy in 1964 and was released in America three years later, greatly popularizing the so-called Spaghetti Western genre. For the American release, Sergio Leone and Ennio Morricone decided to adopt American-sounding names, so they called themselves respectively Bob Robertson and Dan Savio. Over the film's theatrical release, it grossed more than any other Italian film up to that point. The film debuted in the United States in January 1967, where it grossed US$4.5 million for the year. It eventually grossed $14.5 million in its American release, against its budget of US$200–250,000. Morricone's score for Once Upon a Time in the West is one of the best-selling original instrumental scores in the world today, with up to 10 million copies sold, including one million copies in France and over 800,000 copies in the Netherlands. One of the main themes from the score, "A Man with Harmonica" (L'uomo Dell'armonica), became worldwide known and sold over 1,260,000 copies in France alone. This theme was later sampled in popular songs such as Beats International's "Dub Be Good to Me" (1990) and The Orb's ambient single "Little Fluffy Clouds" (1990). Film composer Hans Zimmer sampled "A Man with Harmonica" in 2007 as part of his composition "Parlay" (from the soundtrack Pirates of the Caribbean – at World's End). Other relevant scores for less popular Spaghetti Westerns include Duello nel Texas (1963), Le pistole non-discutono [it] (1964), A Pistol for Ringo (1965), The Return of Ringo (1965), Seven Guns for the MacGregors (1966), The Hills Run Red (1966), Giulio Petroni's Death Rides a Horse (1967) and Tepepa (1968), A Bullet for the General (1967), Guns for San Sebastian (with Charles Bronson and Anthony Quinn, 1968), A Sky Full of Stars for a Roof (1968), The Five Man Army (1969), Don Siegel's Two Mules for Sister Sara (1970), Life Is Tough, Eh Providence? (1972) and Buddy Goes West (1981). In a 2001 interview with The Guardian, Morricone stated that he had good experiences with De Palma: "De Palma is delicious! He respects music, he respects composers. For The Untouchables, everything I proposed to him was fine, but then he wanted a piece that I didn't like at all, and of course we didn't have an agreement on that. It was something I didn't want to write – a triumphal piece for the police. I think I wrote nine different pieces for this in total and I said, 'Please don't choose the seventh!' because it was the worst. And guess what he chose? The seventh one. But it really suits the movie." One of his last complete scores for an American-related project includes the 2002 thriller Ripley's Game, starring John Malkovich, by Liliana Cavani. Noted background music from the shooting scene "target practice" in Quentin Tarantino's Django Unchained was also featured in Kung Fu theaters movies. Besides the 500 original film scores that have been composed by Morricone for movies and television series in a career of over six decades, his music is in addition frequently reused in more than 150 other film projects. Morricone's compositions appeared in the German TV series Derrick (1989), the live-action comedy film Inspector Gadget, Ally McBeal (2001), The Simpsons (2002), The Sopranos (2001–2002) and more recently in Dancing with the Stars (2010). In 2009, Tarantino originally wanted Morricone to compose the film score for Inglourious Basterds. Morricone was unable to, because the film's sped-up production schedule conflicted with his scoring of Giuseppe Tornatore's Baarìa. However, Tarantino did use eight tracks composed by Morricone in the film, with four of them included on the soundtrack. The tracks came originally from Morricone's scores for The Big Gundown (1966), Revolver (1973) and Allonsanfàn (1974). More recently, Morricone composed the scores for Baarìa (2009), The Best Offer (2013) starring Geoffrey Rush, Jim Sturgess and Donald Sutherland and the romantic drama The Correspondence (2015) starring Jeremy Irons and Olga Kurylenko. In the late 1990s, he collaborated with his son Andrea on the Ultimo crime dramas, resulting in Ultimo (1998), Ultimo 2 – La sfida (1999), Ultimo 3 – L'infiltrato (2004) and Ultimo 4 – L'occhio del falco (2013). Tarantino originally wanted Morricone to compose the soundtrack for his film, Inglourious Basterds. However, Morricone refused because of the sped-up production schedule of the film. Tarantino did use several Morricone tracks from previous films in the soundtrack. Morricone instead wrote the music for Baarìa by Tornatore. It was the second time Morricone's turned down the director, he also turned down an offer to write some music for Pulp Fiction in 1994. In 2013, Morricone collaborated with Italian singer-songwriter Laura Pausini on a new version of her hit single "La solitudine" for her 20 years anniversary greatest hits album 20 – The Greatest Hits. On 13 October 1956 he married Maria Travia, whom he had met in 1950. Travia has written lyrics to complement her husband's pieces. Her works include the Latin texts for The Mission. They have three sons and a daughter, in order of birth: Marco (1957), Alessandra (1961), the conductor and film composer Andrea (1964), and Giovanni Morricone (1966), a filmmaker, who lives in New York City. Morricone has lived in Italy his entire life and has never desired to live in Hollywood. Morricone is also not fluent in English and will give interviews only in Italian, his native language. In 1990 the American singer Amii Stewart, best known for the 1979 disco hit "Knock on Wood", recorded a tribute album entitled Pearls – Amii Stewart Sings Ennio Morricone for the RCA label, including a selection of the composer's best-known songs. Since the mid-1980s Stewart resides in Italy, the Pearls album features Rome's Philharmonic Orchestra and was co-produced by Morricone himself. Carlo Lizzani (°1922–2013) 1965–76 6 comedy / crime / drama including Thrilling, Svegliati e uccidi, The Hills Run Red and San Babila-8 P.M.
^ "Morricone Sig. Ennio". www.quirinale.it. 27 December 2017. Retrieved 17 October 2018. ^ "Quentin Tarantino says The Hateful Eight will have Ennio Morricone score". www.theguardian.com. 11 July 2015. Retrieved 13 July 2015. ^ "10 most influential film soundtracks". Telegraph. Retrieved 31 December 2015. ^ "The Police, Queen, Morricone Honoured at Grammy Hall of Fame". Uncut. 1 December 2008. ^ "Ennio Morricone Discusses 85th Anniversary Before Moscow Concert". themoscowtimes.com. Retrieved 28 December 2015. ^ "Pros score all-time classics". variety.com. Retrieved 31 December 2015. ^ "Billboard Classical Albums". 18 March 2006. ^ a b "Che Fine Hanno Fatto I Best Sellers Di Ieri" (PDF). Musicaedischi.it. Retrieved 19 December 2012. ^ Charles Leinberger. Ennio Morricone's The Good, the Bad and the Ugly: A Film Score Guide. Books.google.ca. p. 1. Retrieved 6 November 2016. ^ "Ennio Morricone Biography (1928–)". Filmreference.com. Retrieved 13 September 2011. ^ Charles Leinberger (1 September 2004). Ennio Morricone's The Good, The Bad and the Ugly: A Film Score Guide. Scarecrow Press. ISBN 978-0-8108-5132-0. Retrieved 22 January 2013. ^ "Ennio Morricone". Polar Music Prize. Retrieved 17 August 2017. ^ "About Ennio Morricone". fancast.com. Archived from the original on 11 February 2009. ^ "Ennio Morricone, Critical profile by Sergio Miceli". Esz.it. Archived from the original on 22 July 2011. Retrieved 13 September 2011. ^ "Morricone at Pytheas Center for Contemporary Music". pytheasmusic.org. Retrieved 22 January 2013. ^ "Dante Alighieri, Ennio Morricone biography". Dantealighieri.net. 3 December 1911. Retrieved 13 September 2011. ^ "Ennio Morricone". classicfm.co.uk. Retrieved 28 January 2012. ^ "Ennio Morricone biography, retrieved July 17, 2016". Archived from the original on 17 August 2016. Retrieved 17 July 2016. ^ "Helen Merrill – In Italy (CD, Album)". Discogs.com. Retrieved 6 November 2016. ^ The Ennio Morricone Chronicles Retrieved on 4 February 2013. ^ Paul Anka biography Archived 2009-09-29 at the Wayback Machine, Verve Music Group, retrieved 6 February 2013. ^ Se telefonando. HitParade Italia Site. Retrieved 6 February 2013. ^ Top annuali album, HitParadeItalia.it. Retrieved 6 February 2013. ^ "Se telefonando". Mon-amie-hardy-rose.nice-topic.com. Archived from the original on 14 July 2011. Retrieved 24 August 2014. ^ Songs and Arrangements by Morricone Archived 1 May 2015 at the Wayback Machine. Retrieved on 4 February 2013. ^ a b "Biography of Ennio Morricone". ennio-morricone.com. Retrieved 22 January 2013. ^ Enrico Deregibus (8 October 2010). Dizionario completo della Canzone Italiana. 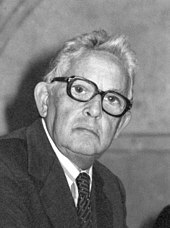 Enrico Deregibus. ISBN 978-88-09-75625-0. Retrieved 22 January 2013. ^ Gruppo di Improvvisazione Nuova Consonanza, biography, Allmusic, Sylvie Harrison. Retrieved 24 January 2013. ^ Alvin Lucia, liner notes, Niente. (The Omni Recording Corporation/The Roundtable), 2012. ^ Ennio Morricone's noise ensemble: Gruppo di Improvvisazione di Nuova Consonanza dangerousminds.net, 5 November 2011. ^ ''Film And Television Scores, 1950–1979: A Critical Survey by Genre'', Kristopher Spencer, McFarland, September 9, 2008. Books.google.be. Retrieved 24 August 2014. ^ Nick Vivarelli International Correspondent @NickVivarelli (15 February 2007). "Morricone: 'I can do anything'". Variety.com. Retrieved 24 August 2014. ^ Christopher Frayling, Spaghetti Westerns: Cowboys and Europeans from Karl May to Sergio Leone, I. B. Tauris, 2 April 2006. ^ a b c Hughes, p. 7. ^ "Hugo Montenegro And His Orchestra – Music From 'A Fistful of Dollars', 'For A Few Dollars More' & 'The Good, The Bad and the Ugly'". Discogs. Retrieved 1 June 2015. ^ "Babe Ruth – Wells Fargo / Theme From "For A Few Dollars More"". Discogs. Retrieved 1 June 2015. ^ "Golden Palominos, The – Omaha". Discogs. Retrieved 1 June 2015. ^ "Material – For A Few Dollars More". Discogs. Retrieved 1 June 2015. ^ "Matti Heinivaho – Arosusi / Tarzan". Discogs. Retrieved 1 June 2015. ^ "Ennio Morricone's For a Few Dollars More (Terranova Remix) – Discover the Remixed Track". WhoSampled. Retrieved 1 June 2015. ^ Hugo Montenegro, The Good, The Bad, The Ugly, Discogs.com. Retrieved 22 January 2013. ^ "Samples of The Good, the Bad & The Ugly", Whosampled, retrieved 22 January 2013. ^ Coolio vs. Ennio Morricone on YouTube, Change, 15 February 2009. ^ "Radio France". Sites.radiofrance.fr. Archived from the original on 7 October 2011. Retrieved 12 December 2011. ^ "Infodisc". Infodisc.fr. Archived from the original on 30 March 2014. Retrieved 12 December 2011. ^ "Radio Veronica". Radioveronica.nl. Archived from the original on 16 February 2012. Retrieved 12 December 2011. ^ "Infodisc.fr". Infodisc.fr. Archived from the original on 26 March 2012. Retrieved 12 December 2011. ^ "Steve Reich". The Wire. 1 November 1996. ^ "Hans Zimmer's Parlay Interpolation (Replayed Sample) of Multiple Elements". whosampled. 23 December 2013. ^ "Tornatore wants Kidman for Leningrad Oscar-winning Italian director to make World War II movie about Nazi attack of Russia". Archived from the original on 11 March 2007. Retrieved 10 January 2009. ^ "Aliide Naylor, Ennio Morricone Discusses 85th Anniversary Before Moscow Concert". Retrieved 11 November 2013. ^ The Life Aquatic with Steve Zissou, Soundtrack Tracklist. Retrieved on 23 January 2013. ^ "Maddalena (1971)". IMDb. Retrieved 22 October 2015. ^ "Chi Mai (Theme From 'Life And Times of David Lloyd George')". Chartstats.com. Archived from the original on 31 July 2012. Retrieved 3 April 2010. ^ "Infodisc.fr". Infodisc.fr. Archived from the original on 5 October 2012. Retrieved 12 December 2011. ^ "Maestro – The Ennio Morricone Online Magazine". Chimai.com. Retrieved 12 January 2014. ^ "InfoDisc : Les 45 T. / Singles les plus vendus en France". Infodisc.fr. Archived from the original on 20 September 2012. Retrieved 12 December 2011. ^ "18". Infodisc.fr. Archived from the original on 3 November 2011. Retrieved 12 December 2011. ^ a b From AFI (The American Film Institute), accessed September 2011. ^ Ennio Morricone Interviewed: John Doran, "Compared To Bach, I'm Practically Unemployed", Quietus interview, 8 April 2010. ^ "The Virginian – Season 9 Opening Credits". Retrieved 18 June 2011. ^ "Box Office Information for Exorcist II: The Heretic". Box Office Mojo. Retrieved 10 December 2011. ^ "The 51st Academy Awards (1979) Nominees and Winners". oscars.org. Archived from the original on 5 January 2013. Retrieved 2011-10-06. ^ "Morricone biography". Onlineseats.com. 25 February 2007. Archived from the original on 24 November 2011. Retrieved 12 December 2011. ^ "Morricone is 80, Limburger.nl, November 2008, 10th". Limburger.nl. Archived from the original on 14 February 2012. Retrieved 12 December 2011. ^ a b c d  The Academy of Motion Picture Arts And Sciences, accessed September 2011. ^ a b "'The Mission' tops Variety composers' poll of the all-time greatest film scores", HitFix, Guy Lodge, 14 November 2012. ^ a b Adam Sweeting (23 February 2001). "Mozart of film music? The Friday interview". London: Guardian. Retrieved 24 August 2014. ^ American Film Institute (23 September 2005). "AFI's Top 25". Afi.com. Retrieved 24 August 2014. ^ Films list with the most Academy Awards Nominations Of History in the Oscars. Retrieved 23 January 2013. ^ "The 64th Academy Awards (1992) Nominees and Winners". oscars.org. Retrieved 2 August 2011. ^ Jon Pareles, "The Maestro of Spaghetti Westerns Takes a Bow", New York Times, 28 January 2007. ^ Alain Silver & Elizabeth Ward, ed. (28 November 1988). "Filmography of neo-noir". Film Noir: An Encyclopedic Reference to the American Style (3rd ed.). Woodstock, New York: The Overlook Press. p. 438. ISBN 978-0-87951-479-2. ^ "They rejected it because it was too emotional? ", soundtrack review. Retrieved 23 January 2013. ^ "Tarantino wants Ennio Morricone to score Basterds", Tarantino.info, 9 November 2008. Retrieved 23 January 2013. ^ Wise, Damon (15 August 2009). "Inglourious Basterds Guide". The Guardian. London. Archived from the original on 1 February 2010. Retrieved 19 January 2010. ^ "Morricone u Basterd!". JoBlo. Archived from the original on 2 February 2010. Retrieved 26 September 2009. ^ "Quentin Tarantino on his WW2 epic Inglourious Basterds". Wales Online. 23 August 2009. Archived from the original on 2 February 2010. Retrieved 26 January 2010. ^ Cataldo, Jesse (31 August 2009). "Inglourious Basterds Original Soundtrack Review". Slant Magazine. Archived from the original on 2 February 2010. Retrieved 23 November 2009. ^ "Oscars: 75 Songs vie for Best Original Song led by Les Misérables, Ted & Safety Not Guaranteed", Heyuguys.co.uk, Kenji Lloyd, 13 December 2012. ^ Eric J. Lyman, "Rome Festival to Honor Quentin Tarantino in Special Ceremony", Hollywood Reporter, 28 December 2012. ^ a b "Italian Composer Ennio Morricone: I'll Never Work With Tarantino Again". hollywoodreporter.com. Retrieved 1 January 2014. ^ "Festival de Cannes: Cinema Paradiso". festival-cannes.com. Archived from the original on 20 August 2011. Retrieved 2009-08-01. ^ Goddard, S. Mozipedia, p. 272. London: Ebury Press, 2009. ^ "Interview: Film Music Maestro Ennio Morricone". 1 October 2008. Archived from the original on 8 November 2013. Retrieved 31 December 2013. ^ "AICN". Aintitcool.com. Retrieved 13 September 2011. ^ Barna, Daniel (9 January 2009). "Morricone u Basterd!". JoBlo.com. Archived from the original on 16 February 2009. Retrieved 8 March 2011. ^ "Ennio Morricone won't be scoring Tarantino's 'Inglourious Basterds". livejournal.com. 1 September 2009. Archived from the original on 30 December 2015. Retrieved 1 January 2014. ^ "E' uscito "Paradiso", l'album di Hayley Westenra ed Ennio Morricone – Cultura – Famiglia Cristiana". Famigliacristiana.it. 21 September 2011. Archived from the original on 29 March 2012. Retrieved 31 March 2012. ^ "Paradiso – Hayley Westenra". Marbecks. 18 April 2011. Retrieved 13 September 2011. ^ "In the studio with Morricone". classicfm.co.uk. 24 August 2011. Retrieved 27 August 2011. ^ "Decca Records | Classical | Hayley Westenra teams up with Ennio Morricone". Decca.com. Archived from the original on 2 January 2012. Retrieved 8 March 2011. ^ "Message from Ennio Morricone". 18 July 2011. Retrieved 27 August 2011. ^ "Paradiso on iTunes". 29 August 2011. Retrieved 27 August 2011. ^ "Ennio Morricone to Score Giuseppe Tornatore's 'The Best Offer'", filmmusicreporter.com, 4 April 2012. ^ "Giuseppe Tornatore's 'Correspondence' begins UK shoot", screendaily.com, 6 May 2015. ^ Eliana Dockterman. "Quentin Tarantino Hateful Eight Comic-Con: He'll Film Another Western". TIME.com. Retrieved 22 October 2015. ^ Anderson, Ariston (30 January 2016). "Ennio Morricone Accepts Golden Globe for 'The Hateful Eight' in Rome". The Hollywood Reporter. Retrieved 18 October 2018. ^ Opam, Kwame (28 February 2016). "Oscars 2016: Ennio Morricone wins Best Original Score for The Hateful Eight". The Verge. Retrieved 18 October 2018. ^ Charles Leinberger (2004). Ennio Morricone's The Good, the Bad and the Ugly: A Film Score Guide, p.2. Scarecrow Press. Retrieved 22 September 2013. ^ "Mix interview: Film Music Maestro Ennio Morricone". mixonline.com. Archived from the original on 1 January 2014. Retrieved 31 December 2013. ^ "Cinésymphonie '84 – Première nuit de la musique de film, 20 September 1984". chimai.com. Retrieved 31 January 2013. ^ "Rencontre avec Colette Delerue". underscores.fr. Archived from the original on 25 June 2013. Retrieved 31 January 2013. ^ "Discogs, Ennio Morricone– Live, 1987". Discogs.com. 15 October 1987. Retrieved 24 August 2014. ^ "Discogs, Ennio Morricone live 1987". Discogs.com. 15 October 1987. Retrieved 24 August 2014. ^ "Soundtrack Collector, Ennio Morricone live, 1987". Soundtrackcollector.com. 13 May 2007. Retrieved 24 August 2014. ^ "Kuipke luistert ademloos naar Ennio Morricone, De Standaard". Standaard.be. 13 June 2000. Retrieved 24 August 2014. ^ "Ennio Morricone, Live in Ghent", Film Score Monthly. ^ "Ennio Morricone komt dirigeren in Sportpaleis, 24 August 2012". Focus.knack.be. 17 June 2014. Retrieved 24 August 2014. ^ Een boodschap van Ennio Morricone. YouTube. 20 November 2014. Retrieved 22 October 2015. ^ "Interview: Film Music Maestro Ennio Morricone". mixonline.com. Archived from the original on 8 November 2013. Retrieved 31 December 2013. ^ "Forum Music Village". discogs.com. Retrieved 31 December 2013. ^ Doran, John (8 April 2010). "Ennio Morricone Interviewed: "Compared To Bach, I'm Practically Unemployed"". The Quietus. Retrieved 22 June 2015. ^ Sweeting, Adam (22 February 2001). "Mozart of film music". The Guardian. Retrieved 22 June 2015. ^ "What influenced Danger Mouse". nymag.com. Retrieved 21 January 2016. ^ "Mark Knopfler of Dire Straits". Guitar Player, Sept.'84. Retrieved 20 January 2016. ^ "Behind the music: 17 artists that had a huge influence on Muse". gigwise.com. Retrieved 20 January 2016. ^ "Metallica: The Music and the Mayhem". Omnibus Press. Retrieved 20 January 2016. ^ "The Mojo Collection: 4th Edition". Mojo Magazine. Retrieved 20 January 2016. ^ "Hans Zimmer on Ennio Morricone's score for Once Upon a Time in the West". telegraph.co.uk. Retrieved 20 January 2016. ^ "Hugo Montenegro Biography". musicianguide.com. Retrieved 20 December 2012. ^ "Jay-Z's Blueprint² sample of Ennio Morricone's The Ecstasy of Gold". whosampled.com. Retrieved 20 December 2012. ^ "The Orb's Little Fluffy Clouds sample of Ennio Morricone's L'uomo". whosampled.com. Retrieved 20 December 2012. ^ Area 51: The cellist in charge, Variety, Retrieved 7 February 2013. ^ "Amii Stewart: Pearls – Amii Stewart Sings Ennio Morricone". discogs.com. Retrieved 17 February 2016. ^ "METALLICA Performs 'Suicide & Redemption', 'The Ecstasy of Gold' For First Time – July 28, 2009". blabbermouth.com. Retrieved 27 January 2013. ^ "The Mars Volta and Red Hot Chili Peppers". paste magazine.com. Retrieved 27 January 2013. ^ "What Influences Danger Mouse and Cee-Lo Green of Gnarls Barkley". ^ Rebecca Nicholson (12 February 2011). "Anna Calvi: 'Without performing I'd be a nervous wreck'". TheGuardian.com/Music. London. Retrieved 31 March 2012. ^ "The Last Shadow Puppets". Interview Magazine. Retrieved 9 July 2016. ^ "Morricone Youth". Morricone Youth. Retrieved 27 January 2013. ^ "Murder By Death– Red of Tooth And Claw". discogs.com. Retrieved 27 January 2013. ^ "50 incredibly geeky facts about Radiohead". nme.com. 14 February 2011. Retrieved 20 January 2016. ^ Ryan, Gary (7 July 2006). "City Life, Muse: The matrix meets Clint Eastwood". Citylife.co.uk. Retrieved 16 August 2012. ^ "Marco Beltrami's The Thing". whosampled.com. Retrieved 27 January 2013. ^ "David Guetta: "My original influence for 'Lovers' was Spaghetti Westerns"". news.beatport.com. Archived from the original on 3 September 2015. Retrieved 14 August 2015. ^ "Giusy". Net1News. Retrieved 17 November 2012. ^ "Il Premio Oscar alla carriera Ennio Morricone il 25 agosto a Rimini". ER Cultura. Retrieved 17 November 2012. ^ "EM single sales in France". Infodisc.fr. Archived from the original on 5 November 2013. Retrieved 12 December 2011. ^ "Korea Herald, Ennio Morricone comes to Korea, May 12, 2009" (in Korean). Koreaherald.co.kr. 30 March 2010. Retrieved 12 December 2011. ^ "Biografia, EM". Cinema.ilsole24ore.com. Retrieved 12 December 2011. ^ "Artiste_Ventes en France". Infodisc.fr. Archived from the original on 5 November 2013. Retrieved 12 December 2011. ^ "Box Office Morricone". Boxofficemojo.com. Retrieved 24 August 2014. ^ Paul Rosenfield (29 March 1987). "They Gambled Their Time and Energy, and Didn't Give Up". LA Times. Retrieved 29 December 2013. ^ John W. Cones (1997). The Feature Film Distribution Deal: A Critical Analysis of the Single Most Important Film Industry Agreement. SIU Press. p. 7. Retrieved 29 December 2013. ^ "La Migliore Offerta (The Best Offer)". Box Office Mojo. Archived from the original on 2 November 2013. Retrieved 6 October 2013. ^ "La Migliore Offerta (The Best Offer)". Box Office Mojo. Retrieved 9 January 2014. ^ "The Hateful Eight (2015)". Box Office Mojo. Retrieved 21 January 2015. ^ Django Unchained, IB Times, 2012. ^ "2016 | Oscars.org | Academy of Motion Picture Arts and Sciences". Oscars.org. 28 February 2016. Retrieved 6 November 2016. ^ "Ennio Morricone to head Rome Film Festival jury". BBC News. 1 June 2011. Retrieved 18 February 2012. ^ "Quincy Jones". Quincy Jones. Archived from the original on 23 October 2012. Retrieved 2011-09-13. ^ "AFI's 100 years of film scores – Honoring America's Greatest Film Music" (PDF). afi.com. Retrieved 29 January 2013. ^ "AFI's Top 25 – Honoring America's Greatest Film Music" (PDF). afi.com. Retrieved 29 January 2013. ^ "Grammy Hall of Fame inductees". grammy.org. Retrieved 29 January 2013. ^ "Special Merit Awards: Class Of 2014". grammy.org. Retrieved 11 January 2014. ^ "Macedonian Information Ageny". Mia.com.mk. Archived from the original on 8 March 2012. Retrieved 13 September 2011. ^ "New Bulgarian University awards maestro Morricone with the title "Doctor Honoris Causa"". eventzone.bg. 11 December 2013. Retrieved 1 January 2014. Lhassa, Anne, and Jean Lhassa: Ennio Morricone: biographie. Les Planches. Lausanne: Favre; [Paris]: [diff. Inter-forum], 1989. ISBN 978-2-8289-0418-0. Sorbo, Lorenzo: 'The Dramatic Functions of Italian Spaghetti Western Soundtracks: A Comparison between Ennio Morricone and Francesco De Masi' In: Stoppe, Sebastian (2014). Film in Concert. Film Scores and their Relation to Classical Concert Music. Glücksstadt, Germany: VWH Verlag. pp. 161–174. ISBN 978-3-86488-060-5. Wagner, Thorsten. "Improvisation als 'weiteste Ausdehnung des Begriffs der aleatorischen Musik': Franco Evangelisti und die Improvisationsgruppe Nuova Consonanza". In ... hin zu einer neuen Welt: Notate zu Franco Evangelisti, edited by Harald Muenz.48–60, 2002. Saarbrücken: Pfau-Verlag. ISBN 978-3-89727-177-7. Webb, Michael D. Italian 20th Century Music: The Quest for Modernity. London: Kahn & Averill. ISBN 978-1-871082-89-0..